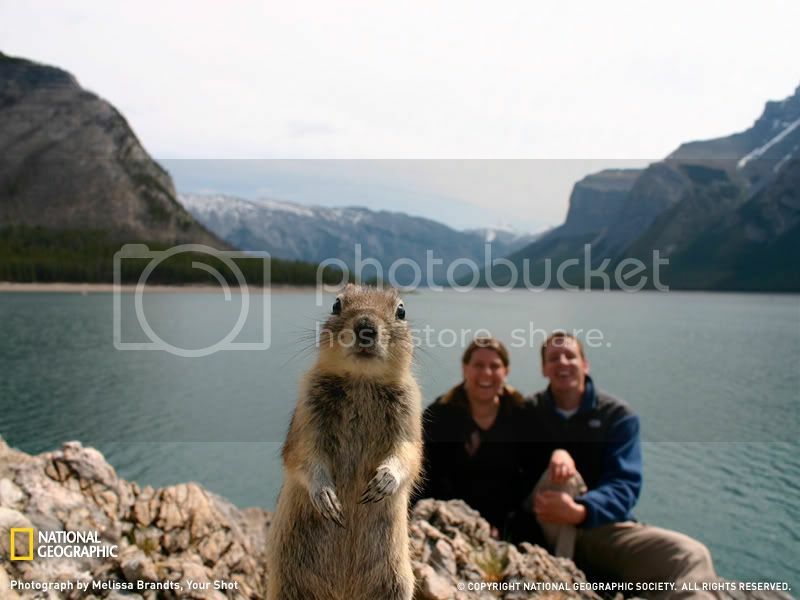 If you don't go to the link, here's their story: "My husband and I were exploring Lake Minnewanka in Banff National Park-Canada when we stopped for a timed picture of the two of us. We had our camera set up on some rocks and were getting ready to take the picture when this curious little ground squirrel appeared, became intriqued with the sound of the focusing camera and popped right into our shot! A once in a lifetime moment! We were laughing about this little guy for days!!" That's what I like about squirrel... of course it can also be the most annoying thing about them.